The proceedings of the ongoing monsoon session of parliament are also likely to impact the market. 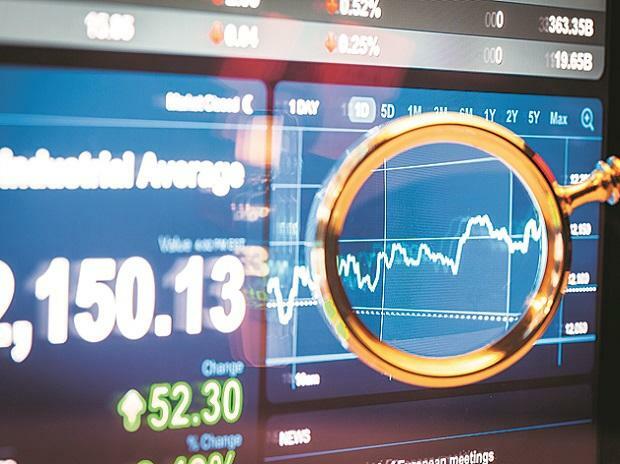 After largely bearish trade in the week-ended Friday, the key Indian equity indices would be driven by corporate earnings, futures and options (F&O) expiry and the rupee movement in the week ahead, analysts said. Further, analysts feel the result of Friday's no-confidence motion in Parliament, which the government comfortably won, is likely to support investor sentiments in the week ahead. "Earnings season will pick up pace in the coming week, where the expectations are high. Any revival in earnings growth will provide the scope for re-rating in valuation," said Vinod Nair, Head of Research at Geojit Financial Services. According to Delta Global Partners' Principal Partner, Devendra Nevgi, the markets would look forward to earnings releases, particularly of HDFC Bank, ITC, Bharti Airtel and Dr Reddy's Lab. "The outcome of the no-confidence motion against the ruling government would bring some relief to the market," Nevgi said. Gaurav Jain, Director of Hem Securities, was of the opinion that developments in the monsoon session of Parliament and expiry of July F&O contracts, would dictate trend s on the bourses next week. "Ahead of the F&O expiry in the coming week, traders will square off their positions as this would be the first F&O expiry which will be settled in physical delivery for some bluechip stocks," Jain added. Further, the movement of the Indian rupee is critical. On Friday, the rupee hit an all-time low of 69.12 against the greenback but eventually recovered and closed at 68.85, strengthening by three paise from its previous week's close of 68.88 per greenback. On Thursday, the rupee had also touched a fresh closing low of 69.05 per dollar. In terms of investments, provisional figures from the stock exchanges showed that foreign institutional investors (FIIs) sold scrips worth Rs 1,209.41 crore, while domestic institutional investors (DIIs) purchased stocks worth Rs 1,300.06 crore in the week gone by. Figures from the National Securities Depository (NSDL) revealed that foreign portfolio investors (FPIs) divested Rs 8.88 billion (Rs 888.70 crore), or $129.80 million from the equities segment on stock exchanges during the week ended on July 20. In the week ended Friday, the key indices declined marginally due to rise in inflation rate, weakening rupee and the no-confidence motion in Parliament. Index-wise, on a weekly basis the benchmark Bombay Stock Exchange's (BSE) Sensex closed at 36,496.37 points — down 45.26 points or 0.12 per cent from the previous close. Significantly, on Wednesday, the Sensex hit a fresh record high of 36,747.87 points, but could not hold on to the gains. The wider Nifty50 on the National Stock Exchange (NSE) settled at 11,010.20 points, down just 8.7 points or 0.08 per cent -- from its previous week's close. In the week ahead, the Nifty50 is likely to witness further upsides once the immediate resistance of 11,078 points is taken out, said Deepak Jasani, Head of Retail Research at HDFC Securities, adding that the crucial support levels would be at 10,925 points.